Over the last 125 years, Mohun Bagan AC has made the beautiful game a way of life in Bengal. Kirti Mitra’s baganbari, although it no longer exists, is where it all began. Near Phariapukur in north Kolkata, the large marble building called Mohun Villa was the venue for an important meeting of eminent intellectuals and landowners. They wanted to start a club to develop sporting activities amongst the local Bengali youth. By all accounts, the meeting, presided over by Bhupendranath Basu (who would later become president of the Indian National Congress in 1914), was a success. And thus, on August 15, 1889, the Mohun Bagan Sporting Club was established, named after the villa that housed that momentous event. On the first anniversary of the club, FJ Rowe, a professor of English literature at Presidency College, suggested that in the absence of angling and rifle shooting activities, the word “athletic” would be more appropriate for the club. From then on, India’s oldest football club has been known as Mohun Bagan Athletic Club. Over the past 125 years, Mohun Bagan AC has not just been a football club, but an institution. Last Sunday they won the eighth Hero I-League at the Sree Kanteerava Stadium in Bangalore, their first league title in 13 years, after drawing 1-1 against defending champions Bengaluru FC. When Bello Rasaq, the Nigerian defender, scored the equaliser, he ended a long drought: the Mariners had not won a major trophy for the last five years; their best showing since the league win in 2002 has been as runners-up in the 2nd I-League in 2008-09. Constant change in coaches and financial crises had become a bane; even the most ardent Bagan fan might have admitted to feeling jaded. But none of that was of consequence when the champions returned home. Over 2 lakh people greeted their heroes and joined in the spontaneous celebrations all over Kolkata. Bagan’s supporters defy class divides — they are a mix of IT professionals, media personnel, private and public sector employees etc. The field and the stadium become a levelling ground, the only colours that matter are green and maroon. In 1889, when the club began, the bar was set high: a player who failed in a school or college exam was not allowed to play. Smoking and drinking were forbidden in the club house. Mohun Bagan was financially and culturally supported by the Bengali intelligentsia and aristocrats and Calcutta’s youth aspired to play for this elite, prestigious club. Eleven years later, Sailen Basu, a subedar major in the British Indian Army became secretary of the club. Using physical conditioning methods learned in his army days, he improved the fitness levels of the players. The strict training paid off. Mohun Bagan annexed the Cooch Behar Cup in 1904, 1905 and 1907. In 1905, they also won the Gladstone Cup beating the IFA Shield champions Dalhousie club 6-1 in the final. They also won the Trades Cup thrice in a row, from 1906-08. British regimental and club sides also played in these matches. Such was Bagan’s fame that they were invited to play in India’s most prestigious tournament, the IFA Shield. At the time, the team comprised 10 Bengalis. Six of them were Brahmins, one player, Sudhir Kumar Chatterjee, was Christian. Only one player, Sukul, wasn’t originally from Bengal — his surname was a corruption of the north Indian “Shukla”. And Abhilash Ghosh was just playing to defy his parents: they feared that he would get hurt, but he needed to impress his girlfriend who lived in the same locality. On the morning of July 29, 1911, the day of the final match, the Bagan players went to Kalighat temple to pray. They stepped onto the field with red tilaks on their forehead and flowers from the shrine in their pockets. Chatterjee followed the same rituals as his teammates, which endeared him to Bagan fans. On the field, captain and left winger Sibdas Bhaduri, muscular centre forward Ghosh and left back Chatterjee’s deft handling of the ball led to a 2-1 victory over the East Yorkshire Regiment. Mohun Bagan had become the first Indian team to lift the coveted IFA Shield. This victory was seen as a symbolic triumph and a boost to the freedom movement that was gaining momentum. It challenged fundamental views on the racial superiority of white Europeans over Asians and did away with the image of Bengalis as an effeminate race. But most importantly, it gave birth to the Bengali’s love affair with football. Players make the game and so many years since that victory in 1911, it still holds true. After Independence, India’s first foreign tour was the 1948 London Olympics. The captain was Talimeran Aao, from Mohun Bagan. This trend continued: the captains of the Indian football team in the next two Olympics, Sailen Manna (1952 Helsinki Olympics) and Samar “Badru” Banerjee (1956 Melbourne Olympics) were both from Mohun Bagan. India has twice won the Asian Games gold medal in football. On both occasions, the captains were Mariners: Sailen Manna in the 1951 Asiad, and Chuni Goswami in the 1962 Asiad. Goswami is arguably India’s most skilful player ever. His silky dribbling skills and deft placements made him a feared inside forward. Another Bagan legend is central defender Jarnail Singh, the only Indian to have twice captained the Asian All Stars team in 1964 and 1965. Mohun Bagan, like Yorkshire in domestic English cricket or like Athletic Bilbao in Spain, never recruited any foreign players. It was against the ethos of the club that had been formed to nurture Indian talent. 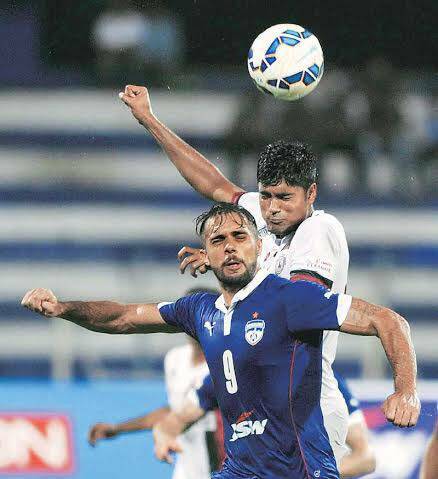 A hard Tackle: Robin Singh of Bengaluru FC and Pritam Kotal of Mohun Bagan AC during the final match of the I-league. It was only after the legendary president Dhiren Dey’s death in 1990 that Bagan changed their policy. This was also done to tackle the paucity of quality Indian strikers and Mohun Bagan went on to recruit Nigerian Chima Okorie. This was a historic transfer: in 1991, Okorie shifted from East Bengal to Mohun Bagan for a then record sum of Rs 5 lakh. The move was successful as under Satyajit Chatterjee’s captaincy Bagan won the Kolkata league as well as the Rovers Cup that year. Mohun Bagan rarely splurged money to buy players, but when they have, it has been money well spent. In 1999-2000 when Bagan won the National Football League (NFL) for the second time, they had the best collection of foreign players ever on Indian soil. They recruited five talented foreign players, central defender Sammy Omollo (Kenyan International), left back Dusit Chaiersman of Thailand (played for Asian All Stars), striker Igor Skhvirin of Uzbekistan (won Asiad 1994 gold medal), winger Stephen Abarowei of Nigeria (played for his country’s age-group teams) and Jose R Baretto of Brazil. The foreigners scored 22 of Bagan’s 36 goals; Skhvirin was the top scorer — 11 goals in 14 matches. Today, Haitian Sony Norde, Japanese midfield dynamo Yusa Katsumi and Nigerian Rasaq have steered the team to an iconic victory. In the months prior to the I-League, questions were raised about the club’s declining standards, poor recruitment of players and inept club management. Doubts had crept in, could Mohun Bagan and Kolkata regain the glory of the past? 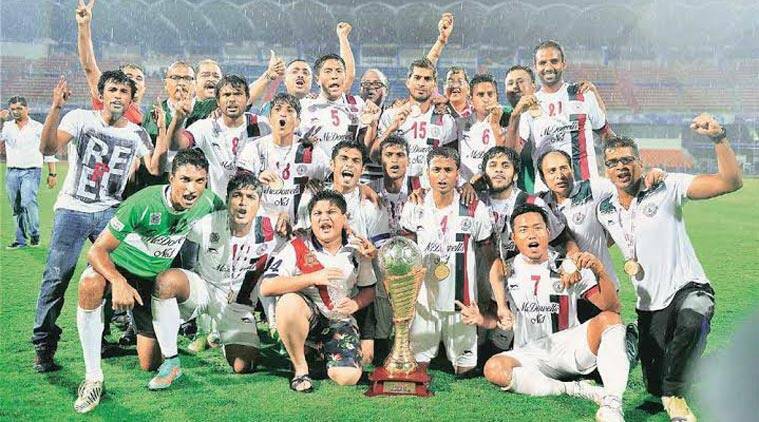 Bagan’s I-league triumph has hopefully heralded the dawn of a new era. The oldest club in Asia, it was formed in 1889, predating European giants such as Barcelona, Chelsea, Liverpool, Bayern Munich, AC Milan, Juventus and Real Madrid. 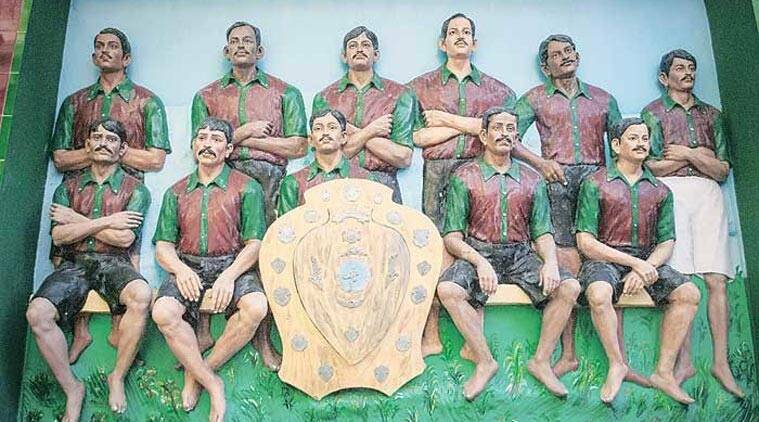 * Became the first Indian team to beat a European outfit, East Yorkshire Regiment, 2-1 in 1911. 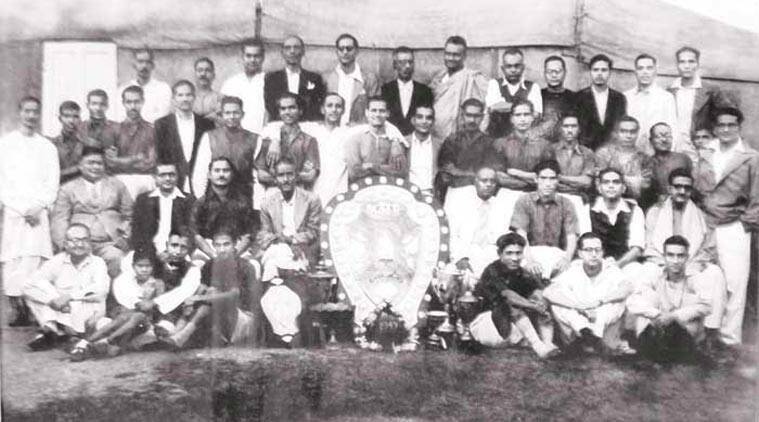 The first Indian winners of the IFA Shield, one of the oldest domestic tournaments. A song was composed in honour of the win, and a postage stamp was issued in their centenary year (1989) to commemorate that win. * In 1977, they played a friendly match against American club New York Cosmos, which featured Brazilian legend Pele. The match, which took place at Eden Gardens, had an attendance of 80,000. It ended 2-2 and a lot of the Bagan players were praised by the star-studded Cosmos team. * Had their bank accounts frozen by the CBI last year after it emerged that they received funding from chit-fund scam accused Sudipta Sen. The club consequently had to slash its budget massively. * Infamously walked off the field in 2012 after their defender Syed Rahim Nabi was hit by a stone thrown by their own fan from the stands during a derby match against East Bengal. The AIFF initially banned them from the I-League for two years, until they paid up a Rs 2 crore fine. * Have employed 14 coaches in the last eight years, almost two per season. * Have lived under the shadows of cross-city rivals East Bengal in recent times after they failed to win anything of note until the I-League win. * Despite being one of the oldest clubs in the continent, Mohun Bagan has not made an impact in the Asian competitions.